On Friday 20th July the school reading system will be closing for the summer. 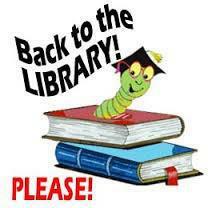 Please can all children return their reading and library books to school by Friday 20th July! Unfortunately, no child is to take school reading or library books home for the summer as we need all books in school to set up the library for the new school year. bring in any books that they no longer read/want into school. If you are concerned about what your child can read over the summer, please consider signing them up for the library reading challenge at your local library. This is always very successful at encouraging children to keep up their reading over the summer holidays, with opportunities to win prizes.